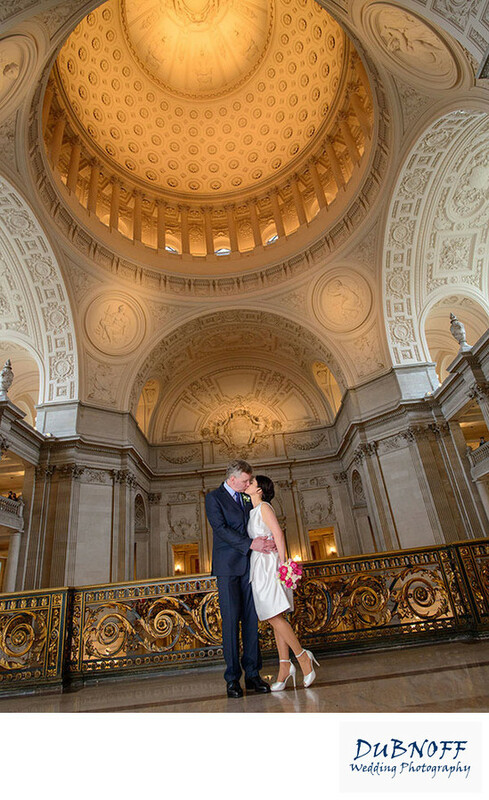 This couple was very interested in having us capture the beautiful architecture at San Francisco city hall. With that in mind, we decided to take them to the Mayor's Balcony and used our Fish-Eye Lens. The great thing about this type of lens is that it gives you a very wide view of the background without having to be too far away from the subject. In this situation, we turned the camera vertical to capture the dramatic City Hall Dome. A slight tilt to the camera created this cool image.